I came to the mat 20 years ago after years of beating up my body with very intense daily 10 mile runs. Sick and tired, yoga found me, and I started to heal. I began a daily home practice of ashtanga first series. I did this for a year before I stepped into a yoga class. When I finally started classes at a local studio, I began to become more and more interested in the eight limbed path and all that yoga has to offer. Shortly after moving to South Carolina from my home in the San Francisco bay area, I began to feel the call to teach. As I became deeply immersed in studies of the yoga sutras, and practice of asana, a new way of expression emerged. 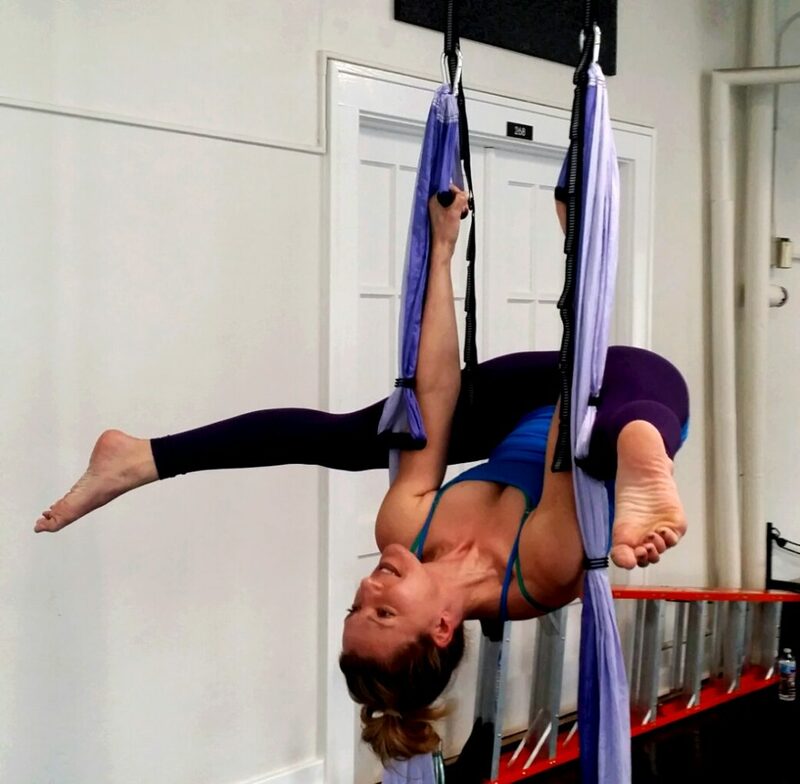 I found aerial yoga, and from the first time in the fabric, I knew it was my favorite expression of yoga. As a teacher I hope that I can share and assist students in overcoming fear, finding space in their bodies and minds, and realizing clarity. As a continual student my path has led me to complete a doctorate program in clinical psychology, practice as a certified massage therapist for 12 years, 10 years of a daily barre practice, certifications in yoga (200 hr), aerial yoga, barre, aerial thai, and the roll model method (therapeutic balls). I continue to be an energetic student and look forward to sharing many classes with the beautiful Movement Works community.